Advancements in solutions and integrated data tools will substantially enhance operations in the cloud, leading it to ultimately become the preferred platform for all enterprise applications. After years of discussing Cloud 2.0, we have finally welcomed in a new era of cloud. And looking ahead at this Cloud 3.0, we will continue to see impressive cloud adoption across all industries with three key trends predicted for the coming year. Clouds today come in many shapes and sizes, from many different providers. 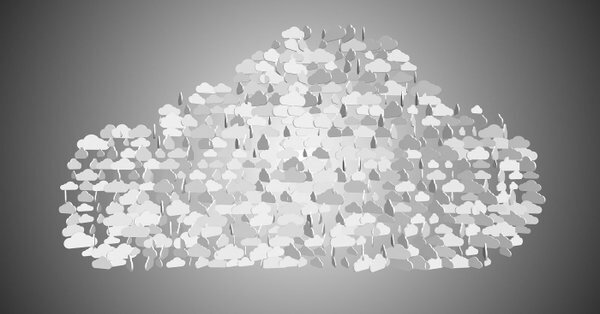 As such, multicloud deployment will likely continue to be used as a key strategy, bringing choice to the organisation to pick and choose solutions as leaders seek to avoid dependence on a singular cloud provider. This flexibility means that companies can structure workloads into separate environments sorted by their different requirements. Governance will become an impediment to cloud IT operations is structured by a set of corporate guidelines which must be adapted and monitored within a cloud landscape, ensuring compliance with operational standards of high efficiency and security. And in the cloud and IT industry, governance is intertwined with business goals and policies, as companies strive to move forward and evolve. Yet, cloud-based services are advancing at an accelerated rate and have exceeded the capabilities of traditional management solutions, creating roadblocks on the journey to innovation. As organisations use multiple clouds simultaneously and deploy on-premises solutions, data needs to be maintained and shared across multiple different infrastructures, making IT governance increasingly more difficult to accomplish. In 2018, we saw solutions like AWS’s Control Tower attempt to resolve the conflict of governance vs. agility, but solutions like this continue to fall short. As we look ahead, governance could become an impediment to an organisation’s ability to move forward and could create friction as businesses strive to innovate. increase in the day-to-day application for IT management and continue to evolve with further innovative projects such as AWS’s DeepRacer. Organisations will be able to focus on the application of machine learning in the management of business services and workloads. And here, ML will become more meaningful in terms of impacting IT management as it becomes fully integrated. Machine Learning has the capabilities to analyse large volumes of data, and identify patterns and forecasting trends more accurately, and fundamentally will replace the need for human manual process. All credits to source below by Joe Kinsella is CTO and Founder at CloudHealth.